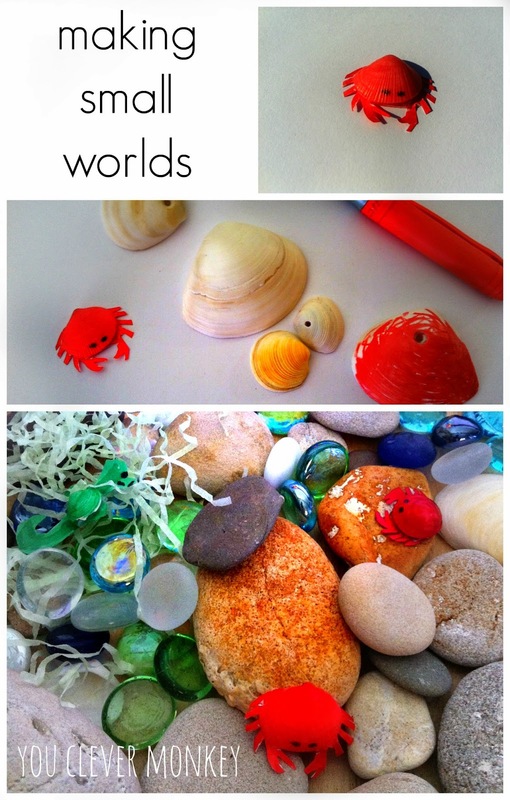 A couple of weeks ago we were playing with the shells and rocks we'd found last holidays at the beach. We love our small world play. We decided to use some of the shells and make some things with them. Super easy to make - just permanent textas, some white paper (although card stock would have been better and easier to cut) and some sticky tape to fix to the shell. My 9yr old was home sick and went on to create several more creatures - kept her busy for ages. Not that my youngest cared - she made good use of them. Then the story stones I'd made awhile ago came out too. These were easily made from some stickers and suitable sized rocks. Just Modpodge the rock, add the sticker then paint over it again with more Modpodge to protect it.